Keep biting insects from ruining your outdoor adventures. 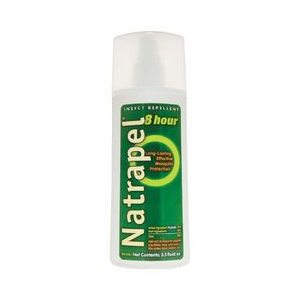 Natrapel 12-hour insect repellent will keep bugs away without harsh chemicals such as DEET. Natrapel Lemon Eucalyptus Continuous Spray Insect Repellent - 6 fl. oz. With Natrapel Lemon Eucalyptus continuous spray insect repellent, you can enjoy the beauty of the outdoors insect-free without covering yourself in oily chemicals. Natrapel Lemon Eucalyptus Pump Spray Insect Repellent - 3.4 fl. oz. Don't let your dislike of insect repellent keep you from being protected. The Natrapel Lemon Eucalyptus pump spray insect repellent effectively repels mosquitoes and is pleasant to use.